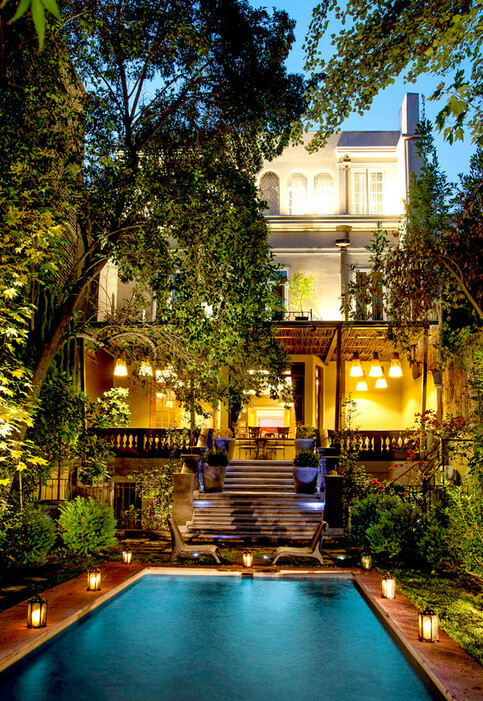 Four and a half star Lastarria Boutique Hotel offers premium service and accommodation in the very heart of Santiago. Located in the bohemian neighborhood of Santiago at the foot of Santa Lucia Hill, Lastarria Boutique Hotel is steps away from fine restaurants, pubs, cafés, museums, both modern and antique shops, as well as theaters and cinemas. Most major tourist attractions, including the city's center Baquedano Subway station, are within minutes of Lastarria Boutique Hotel. This stunning residence was built in 1927 and has been renovated and converted into a superb boutique hotel. Warm and comfortable, the superior rooms are located on the ground, second and top floors of the hotel. One of the superior rooms can be connected with a suite, ideal for a family. Another room on the ground floor is adapted for disabled persons. There are three deluxe rooms. One of these, on the ground floor, has a private balcony. The other two rooms are located on the second and top floor of the hotel.